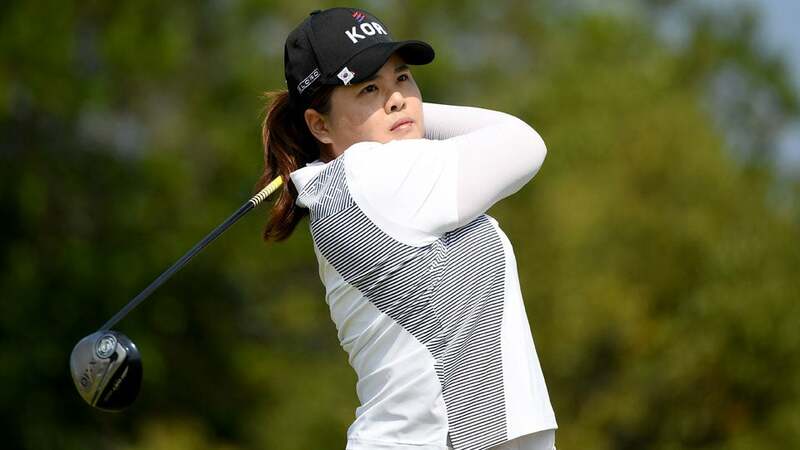 Inbee Park, 28, is the youngest player to qualify for the Hall of Fame. RIO DE JANEIRO (AP) -- Inbee Park, the most decorated major champion in the Olympics, finished her final practice round Tuesday when LPGA Tour Commissioner Mike Whan walked by with a smile and a question. "Four more years?" he said to her. For now, the only certainly for the seven-time major champion is four more rounds. Park secured her place in LPGA history two months ago when the 28-year-old became the youngest player to qualify for the Hall of Fame. That was her last event on the LPGA Tour as she battles ligament injuries in her left thumb. She hasn't broken par on the LPGA Tour since April. She is ready to start a family. Retirement is approaching. She had every reason to sit out the Olympics, and there was no shortage of South Koreans ready to step in. But this is one event Park wasn't about to miss. "I didn't want to push myself to play in a bad body condition because you're representing your country and you want to be in the best form as much as you can," Park said. "I really left it until the last minute to see if I can really play or not. ... When it's something that nobody wants to miss, it's a very special opportunity." Three days after Justin Rose won the first Olympic gold medal in golf in 112 years, the women take over at Olympic Golf Course. Unlike the men, there was never any question about playing. Nine of the top 10 in the women's world ranking are competing, compared with a men's Olympic field that included only four of the top 10. Missing from the women's event is Ha Na Jang at No. 10, but only because South Korea had already filled its allotment of four players. The Americans have three qualifiers, while no other country had more than two. Lydia Ko, the No. 1 player in the world, is the lone representative of New Zealand. Most of them were on the course Sunday afternoon, either watching the men finish or hearing the cheers as they practiced. "Golf in the Olympics got a lot of bad press," American Stacy Lewis said. "It was good to see the guys, how much they appreciated being here and being part of it. If things didn't go as well as they did, I'd be worried. But seeing how excited they were before the medals were awarded ... exceeded everybody's expectations." Lewis said she had this date "circled in red" when she qualified, calling it the most important week of the year "besides my wedding." Ten days ago she got married to Houston women's golf coach Gerrod Caldwell. Lexi Thompson and Gerina Piller round out the American trio. Ko and Brooke Henderson of Canada are Nos. 1 and 2 in the world, both with majors this year. Also favored to medal is Ariya Jutanugarn of Thailand, who picked up her fourth LPGA victory of the year at the Women's British Open. The South Koreans, however, have been a force in women's golf. They have an icon as their team leader, Se Ri Pak, perhaps the most prominent pioneer in golf of any other country. Park was 10 when she was awoken in the middle of the night by her parents cheering at the TV as Pak won the 1998 U.S. Women's Open. The next day, Park had a golf club in her hand for the first time. Ten years later, she won the U.S. Women's Open and eventually reached the top of her sport, capped off by a 2013 season in which she won the first three majors. She has been going at it hard for nearly two decades, and she hedged when asked if the Olympics might be her finale. Still to come for the LPGA Tour is one last major, the Evian Masters next month in France. She said she would have to wait to see how she feels. "I really don't know yet," Park said. "I'd like to have a family soon, and that's probably my priority maybe the next couple years. But I really don't know what's going to happen if I have a baby or after I have a family, whether I'm going to come back. I'm just in between how to plan the rest of my career." For now, it's all about the Olympics. She got her week off to a great start by making a hole-in-one on the sixth hole during practice on Monday. She played a Korean LPGA event a few weeks ago to test her game. Golf was voted back into the Olympics a year after she won her first major, and Park has been preparing for this moment ever since.